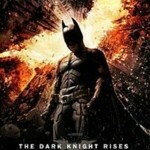 London’s BFI IMAX cinema announced today that it has now sold 62,300 tickets for The Dark Knigh t Rises – The IMAX Experience, grossing £1,001,300, two days ahead of the film’s opening this Friday 20 July. Since tickets went on sale five weeks ago, thousands of Batman fans have been snapping them up to ensure they see the film in the best possible way – on Britain’s biggest screen. The figures for both the advance box office gross and the number of tickets sold have beaten the cinema’s previous best-ever advance sales, which were for Avatar in December 2009 (£607,000 sales for 47,000 tickets). 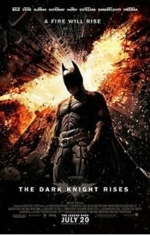 The Dark Knight Rises also broke BFI IMAX records for highest first day sales ever (24,754 tickets grossing £409,838) and the highest first week sales ever (38,658 tickets grossing £634,013). Both these records were previously held by Prometheus. 43 shows are now sold out, including screenings for early birds at 04.25 and 04.55 this weekend. Warner Bros. Pictures’ and Legendary Pictures’ The Dark Knight Rises is the epic conclusion to filmmaker Christopher Nolan’s Batman trilogy. Nolan is utilising IMAX cameras even more extensively than he did on The Dark Knight, which had marked the first time ever that a major feature film was partially shot with IMAX cameras. Over an hour of the footage from the film is in IMAX format, with the image filling the giant screen.